Easy, early, and bright cheery blooms all season long. 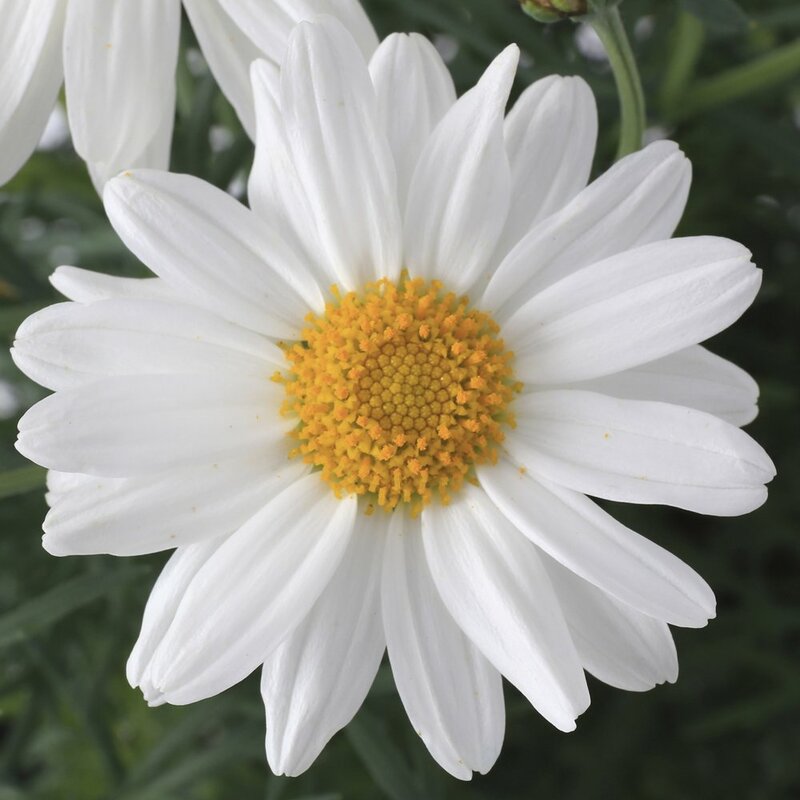 Sassy White produces white daisy with golden yellow center on a well-branched, dwarf sized plant. Works well in containers as well as garden beds. Shows nicely as a stand-alone plant or mixed in combinations. All our argyranthemum plants are grown and shipped in fine quality growing medium. They are guaranteed to arrive alive and ready to thrive in their new home. Comment: These plants-Sassy Compact White Argyranthemum-are husky and very well developed with multiple stems. I immediately re-potted them into 6.5" pots and will grow them along until I plant them out or transfer them into 15" pots in late September for fall flowering. What State Are You Shipping To?